This bill is a crucial step in the effort to change the Massachusetts criminal justice system; it includes provisions on jobs, changes certain felonies into misdemeanors, ends the $500 fine on ex-prisoners getting their driver’s licenses back, and creates medical parole. Cost-savings from the provisions in the Justice Reinvestment Act would help to establish a Trust Fund wherein evidence-based practices would be implemented to support job development efforts for youth, veterans, victims of violence, and other people with significant barriers to employment. More specifically, the funding would create job training programs, transitional job and pre-apprenticeship programs, youth jobs, and programs that specialize in drop-out prevention and recovery. This omnibus bill was introduced by Senator Sonia Chang-Díaz (D-Boston), Rep. Mary Keefe (D-Worcester), and 55 co-sponsoring legislators. 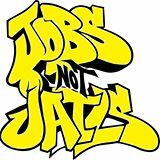 It has received support from a state-wide coalition of religious, union, and community organizations, namely, Jobs not Jails. This is an amazing opportunity to be part of the solution in the fight to end mass incarceration and change our criminal justice system by re-investing in our communities through job and educational opportunity. Sonia Chang-Diaz, Mary S. Keefe, Christine P. Barber, Michael J. Barrett, William N. Brownsberger, Evandro C. Carvalho, Marjorie C. Decker, Marcos A. Devers, Kenneth J. Donnelly, James B. Eldridge, Linda Dorcena Forry, Gloria L. Fox, Carlos Gonzalez, Russell E. Holmes, Patricia D. Jehlen, Jay R. Kaufman, Jason M. Lewis, Jay D. Livingstone, Elizabeth A. Malia, Thomas M. McGee, Byron Rushing, Tom Sannicandro, Benjamin Swan, Aaron Vega, Daniel A. Wolf, Tricia Farley-Bouvier, Denise Provost, Peter V. Kocot, Sheriff Steven Tompkins, Carmine L. Gentile, Frank A. Moran, David M. Rogers, Daniel M. Donahue, Timothy R. Madden, James J. O’Day, Anne M. Gobi, Brian M. Ashe, Jonathan Hecht, Claire D. Cronin, Daniel J. Ryan, Frank I. Smizik, Ruth B. Balser, Kay Khan, Elizabeth A. Poirier, John J. Lawn, Jr., Gailanne M. Cariddi, Michael D. Brady, Kenneth I. Gordon, John J. Mahoney, Sal N. DiDomenico, Paul R. Heroux, Danielle W. Gregoire, Brendan P. Crighton. Click this link: http://org2.salsalabs.com/o/6220/c/1559/p/dia/action3/common/public/index.sjs?action_KEY=21081 to send a letter to your legislator either thanking them, or urging them to supporthe Justice Reinvestment Act.